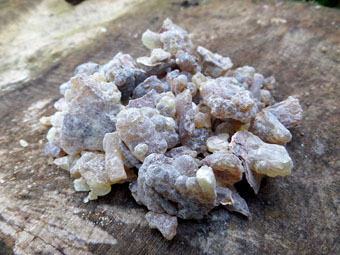 Our frankincense and myrrh resin is 100% natural and organic. 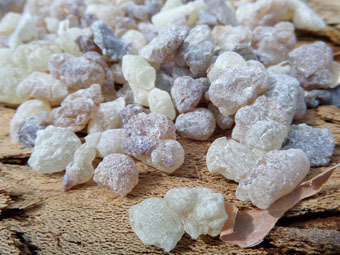 Our frankincense is traditionally and carefully harvested from organic mature trees in the Dhofar region of Oman. This is a region where the frankincense grade is considered so high, it was specially set aside for royalty. Our myrrh is harvested from Somalia. 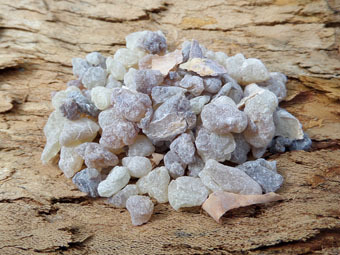 More powerful and pure burning than incense, our frankincense and myrrh resins are sweet and ethereal. Made up from a selection of organic resins (black frankincense, white frankincense, lime frankincense, red myrrh) this is a soothing mixture with rich hints of amber, citrus, pepper and pine. 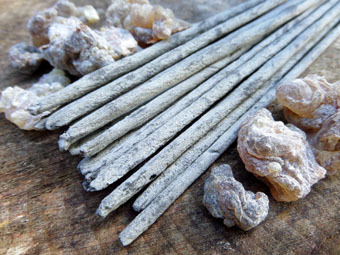 Long used in aromatherapy as a mood enhancer, a recent study carried out by researchers at Johns Hopkins University found that the burning of pure frankincense resin activates ion channels in the brain that can help to alleviate anxiety and stress. It was also found to stimulate the release of TRPV3 - a protein that drastically reduces the symptoms of depression. We're dedicated to bringing you handcrafted natural products, made with organic and wild materials, without any synthetic scents, colours or preservatives of any kind. Be sure to like and follow us for item releases, news and special offers! Copyright © 2017 Pure Perfume Oils. All Rights Reserved.